We see an opportunity for in-flight entertainment to take a new leap. 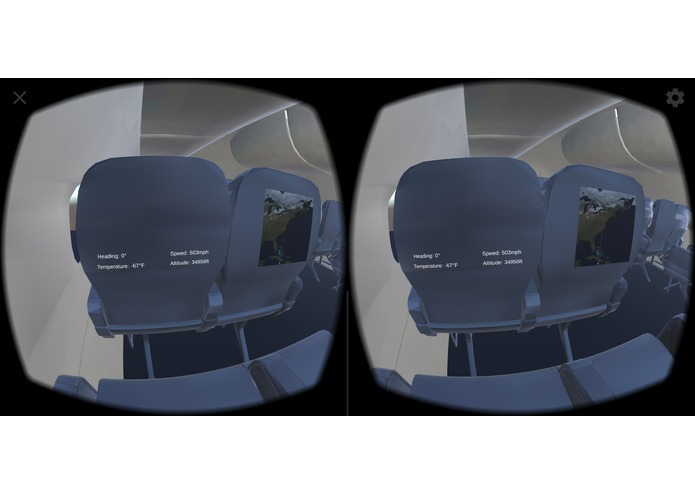 VR headsets will allow passengers to experience quality entertainment without needing to leave their seats. Implemented using the C# scripting in the Unity engine and Android SDK. The user can simply download the app onto their phone and view the experience through their VR headset. Performance had to be optimized for a quality experience on various Android devices. Our first successful venture into virtual reality. Included many features beyond what we expected to accomplish. 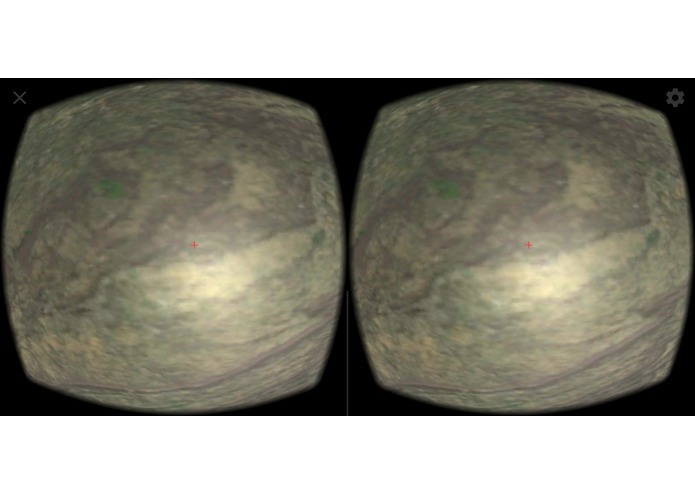 Experience in the Unity API and the VR development pipeline, along with methods of retrieving high resolution satellite images from global databases. 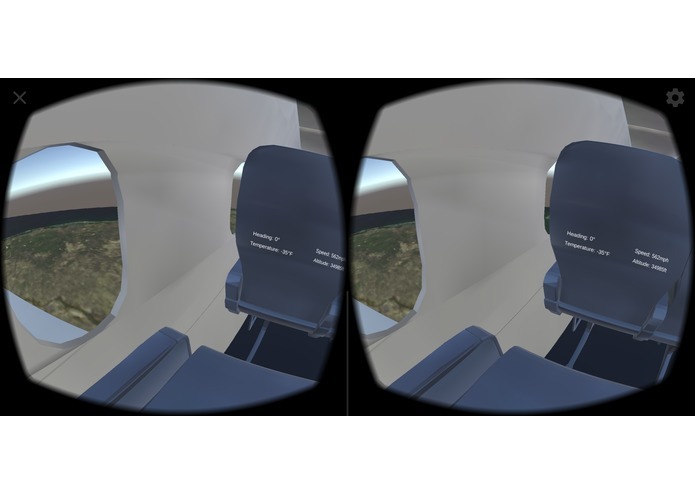 Our hack can easily be expanded beyond real-time flight visualizations to provide a wide variety of VR experiences for passengers, including virtual movie theaters and community experiences shared with other passengers.